A podcast series about We The People, pushing back, in the pursuit of a better America. History is often taught as a series of disconnected names, dates, and historical events. James Madison wrote the Constitution, the Civil War started on April 12, 1861, the 13th amendment abolished slavery. This information is often stored only to be regurgitated for tests then promptly discarded, the empty coffers repopulated by a new set of names, dates, and events. What we're missing is making history relevant to, and engaging for, students. Connecting the past to the present in a way that allows them to see the importance of their shared past as Americans, and use this knowledge and historical context to offer solutions that will lead to a more cohesive future. For many years Montpelier has worked to engage public, private, and home-schooled students around the state, connecting the past to the present through the lens of the Constitution. As part of our commitment as a cultural institution, we offer educational programs and class field trips catered to inquiring minds of all ages. Our programs are hands-on, interdisciplinary, and complement the Virginia History and Social Science Standards of Learning. Students receive a guided tour of the Madisons' home led by one of our specially-trained educators. House tours are tailored to fit any grade-level and cover a wide range of historical topics in a way that excites, challenges, and educates the students. From there, participants have the opportunity to experience myriad engaging activities that offer them the rare opportunity to tactilely engage with history and the process of historical discovery. Montpelier is proud to host over 100 field trips every year, engaging with over 5,000 students ranging from kindergarten to twelfth grade. To learn more about Montpelier's educational programming, check out https://www.montpelier.org/visit/students-families. Students experiencing The Mere Distinction of Colour exhibition during a field trip. Becky Ellis, ACPS. What About the Difficult History? Not all of our history is rosy. Kids today have access to an incredible amount of information, but curriculum alignment around teaching race, the legacies of slavery, and the Civil Rights movement is highly-variable. According to recent study by the Southern Poverty Law Center’s Teaching Tolerance project, schools are not adequately teaching the history of American slavery, educators are not sufficiently prepared to teach the subject, and textbooks don't contain enough material about it. As a result, students lack a basic knowledge of the important role it played in shaping the United States and the impact it continues to have on race relations in America. In the midst of a social watershed moment, young people, particularly high schoolers, are forging their identities and equipping themselves with the knowledge to contend with the forces at play around them. The students live in a community where their friends, parents, and teammates are all having different experiences, conceptualizations, and internalizing different information with which to process today’s conversations about race, equality, and how that maps to American history. 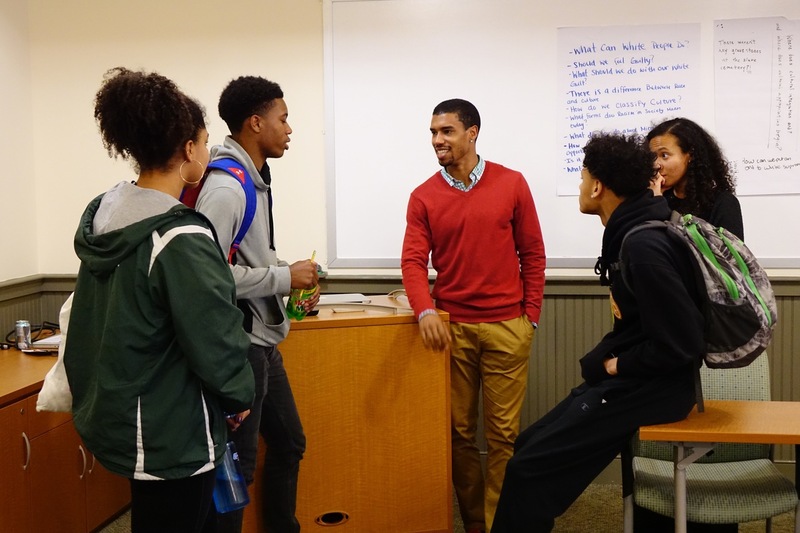 Students and teachers have expressed a need for high-level interscholastic conversations that equip them with the skills, context, and spaces to engage in meaningful dialogue with an eye towards formulating plans to actively participate in, and hopefully contribute to, social change. Montpelier is, in many ways, is the embodiment of the contradiction of America's founding era. How do we contend with fact that the man who wrote about liberty and equality owned slaves, never freeing a single one? How do we unpack hundreds of years of history so that these students, on the cusp of adulthood, can absorb and apply its lessons? At Montpelier, we link our shared American past to our present to help contextualize some of the issues we still contend with today. 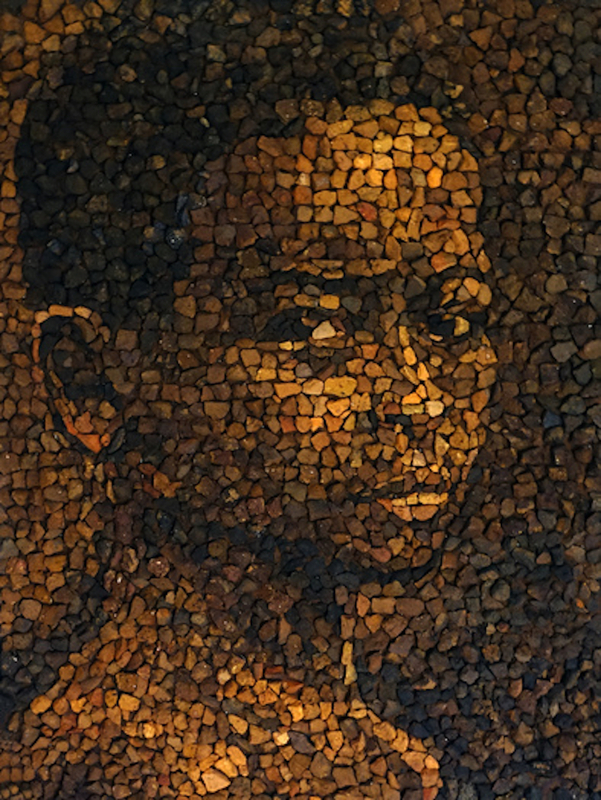 We rely on years of research and archaeology to present a thought-provoking and fact-based interpretation to our visitors through our groundbreaking exhibition, The Mere Distinction of Colour. 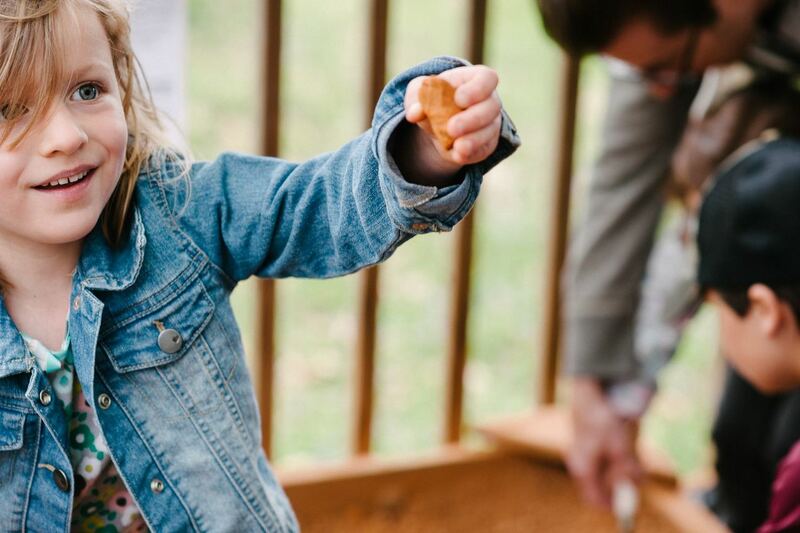 Using the exhibition as a foundation, and through innovative partnerships with Albemarle County Public Schools and Tandem Friends School, Montpelier has expanded its educational programming. 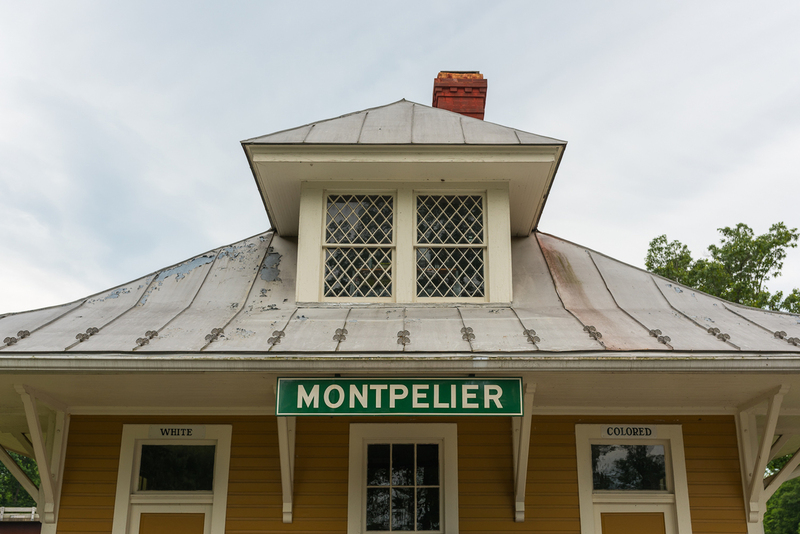 By curating customized programming that resonates with students and is topically relevant, Montpelier does what few other historic sites will: offers an elevated space in which to have the uncomfortable conversations about our sociocultural environment, grounded in history. On December 6th and 7th, 2017, Montpelier hosted nearly 200 students from Albemarle County Public Schools as part of the “Let ‘Em Shine” project, funded through an Educator Innovator grant from the National Writing Project and backed by singer-songwriter, John Legend. Focused on public memory, the goal of this project is for students to help unite the community by using what they learn during the immersion-focused trip to Montpelier and other sites to create a symbolic monument to a significant person, event, or era, that tells a broader story and honors our rich cultural history. Albemarle High School students take notes during 2017 Let 'Em Shine workshop focusing on memorialization and public memory. Becky Ellis, ACPS. 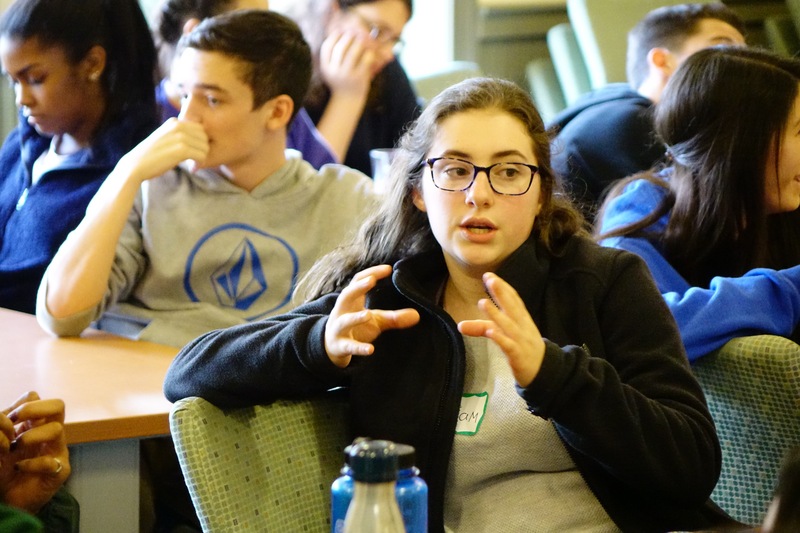 Scholars and experts from around the country came to Montpelier to run workshops to help the students answer some of the project’s looming questions and help orient them towards their final product. 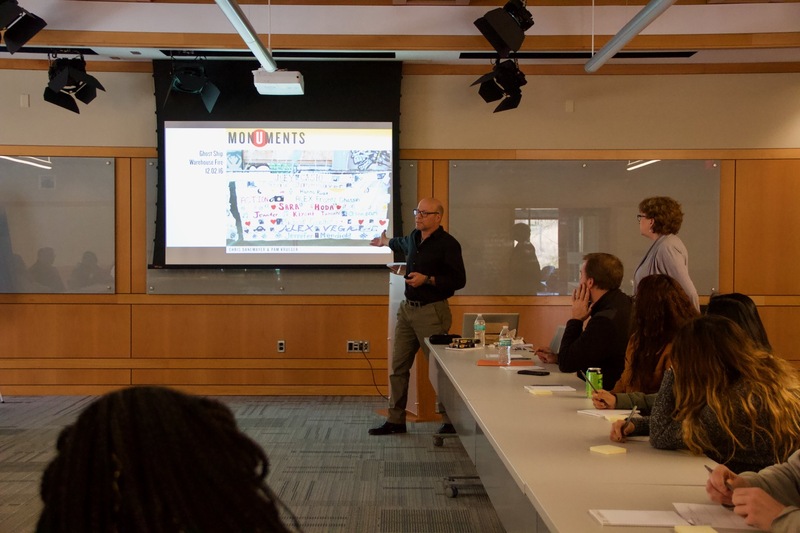 A diverse and high-profile group of local and national designers, museum professionals, media professionals, and educators worked with the students to tackle an array of complex topics. 1. What constitutes a monument? 2. Why do we build monuments? 3. What stories are we telling through our public memorials and monuments? 4. Who decides who is memorialized? 5. What are possible methods of memorialization? An event like this was the first of its kind at a Virginia historic home, and one that was transformative for the students and teachers. It marked the beginning of a new conceptualization of how museums and cultural institutions interact with students and educators. Thank you for such an amazing opportunity for our students. They loved how interactive their sessions were and how much they got to do while they were there. The Mere Distinction of Colour exhibition is breathtaking. Montpelier owes a debt of gratitude to Kirt Van Daacke, Kathy Harris, Chris Danemayer, Braden Paynter, Deborah McDowell, James Perla, Kelley Libbey, Peter Hedlund, and Justin Reid for offering their time and expertise to this program. In January of 2018, following the success of Let 'Em Shine, Montpelier hosted the entire 11th grade from Tandem Friends School, a local private school in Charlottesville, VA. For Tandem, Montpelier created a customized experience to complement their rigorous and challenging curriculum, and offered the students new avenues through which to explore race, culture, and history, framed by the Constitution and America's founding. The day-long program leveraged The Mere Distinction of Colour to explore history’s impact on the present and as a springboard for a larger discussion about the human struggle for freedom in our nation. 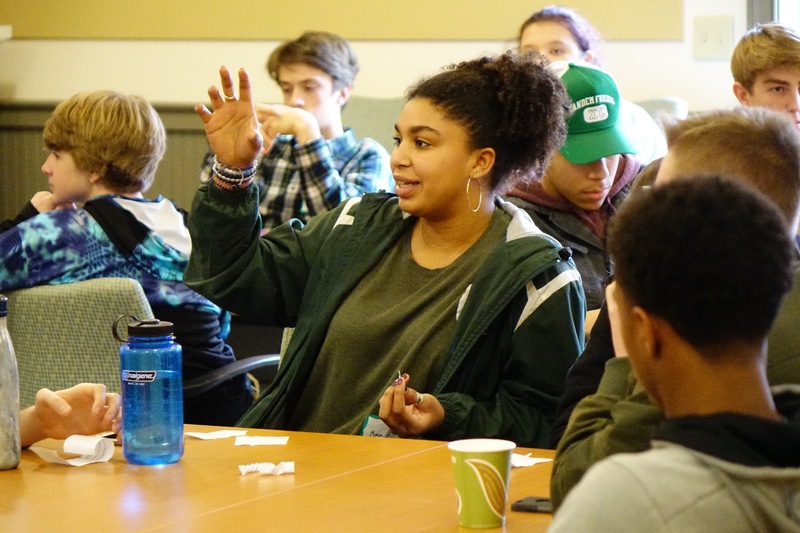 Montpelier staff, in conjunction with Tandem teachers, challenged the students to think critically about the linkages between the past and the present and encouraged participants to have elevated conversations about the impact of history on modern social issues. The day ended with an open forum, offering the students an opportunity unprecedented at sites like Montpelier: the chance to have a candid conversation about the racial and cultural issues they face every day, moderated by experts in the field. "At first glance it might have seemed like a typical field trip: visiting an old president’s home? What’s the excitement in that? "commented one student. "But the trip exceeded expectations. We visited the museum’s new exhibit, The Mere Distinction of Color, and ended the day with a meaningful discussion." The discussion started with the students, in small groups, being given the chance to express unfiltered thoughts and questions. These were subsequently displayed and presented to the group to be discussed, anchored by, and harkening back to, the historical context from the day's earlier tours. It was a rare opportunity for the students to make their voices heard in a controlled but open environment. The students were encouraged to challenge each other, and attempt to unpack the incidents of August 12 to understand how it affects their hometown dynamic, their friend groups, and how it fits into the broader conversation of race in America. "Our discussion, guided by skilled Montpelier faculty, allowed us to process the harsh realities of life as a slave," reflected one student. "We came away having a better understanding of not only what it meant to be a slave so many years ago, but the implications of racism and legacies of slavery in today’s world. I cannot more highly recommend this program; it should be a requirement for all Virginia citizens. " Tandem students in the midst of a workshop on race, history, and culture. Kendall Madigan. Courtesy of the Montpelier Foundation. "I cannot more highly recommend this program; it should be a requirement for all Virginia citizens." "It was important to us that the students lead the discussion," reminds Montpelier Director of Marketing, Price Thomas, who pioneered these initiatives on behalf of Montpelier." These kids are coming into their own with a litany of complex questions that shape their personal realities, but don't have a reliable place to filter through and discuss them without judgement. It was exciting to see them having honest conversations with one another about, and experiencing, maybe for the first time, genuine agency in, the state of their school and community, as it pertains to this broader conversations we are all grappling with as Americans." Montpelier remains committed to opening its doors to students of all ages and offering them new and exciting ways to interact with American history. From hands-on-history for primary students to in-depth social conversations for older students and classes, Montpelier has a wealth of knowledge for teachers and schools to take advantage of. The success of this year's programs paves the way for Montpelier to be a thought-leader in high-level programming for school systems. Building on the success of the partnerships with ACPS and Tandem, and leveraging the powerful lens on America’s race conversation via The Mere Distinction of Colour, James Madison’s Montpelier will move forward to create a curriculum and dialogue partnership with public and private schools that will offer a powerful combination of historical context, expertly-mediated conversations, digital media engagement, and ongoing forums for dialogue on the subjects of race, history, and equality. By encouraging our students to ask questions and honestly analyze and talk about where we are as a collective, we can begin to take steps towards the "exceptional" America we all aspire to be a part of. For more information, contact Montpelier Director of Education and Visitor Engagement, Christian Cotz, at ccotz@montpelier.org. Without your generous support, Montpelier would be unable to hold such transformational programs. A memorial to James Madison and the Enslaved Community, a museum of American history, and a center for constitutional education that engages the public with the enduring legacy of Madison's most powerful idea: government by the people.